On July 26, at 4:08 p.m., the Sanilac County Sheriff’s Office was dispatched to the 3500 block of Pringle Road to begin a search for a missing woman who had left home four hours earlier. The 69-year-old woman, later confirmed as Hazel Ricketts, was mentally stable but visually impaired and had left home on foot and never returned. Countless volunteers, including area fire departments, search and rescue units, the Drug Task Force, the Sanilac County K-9 unit, Border Patrol, the Department of Natural Resources, Michigan State Police, and citizens assisted the Sheriff’s Office in the search. After an unsuccessful search on July 26, the search resumed on July 27 until Ricketts was finally spotted at approximately 3:25 p.m. by a Sheriff’s Office Aero Unit plane. Aero Unit pilot, Darrell Witham is the man credited with finding Ricketts while participating in the search from the sky. Pilots of the Aero Unit flew four missions in three different planes with observers over the two-day search. However, the search for the missing Argyle woman is only one of many searches that the Aero Unit has played an integral role in. 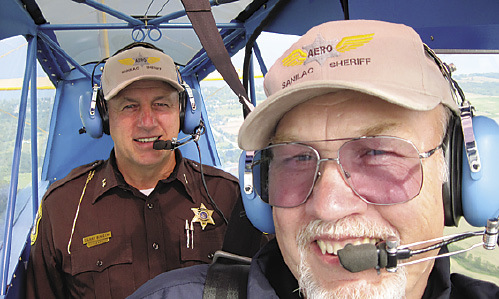 The Aero Unit is a volunteer group of Special Deputies within the Sanilac County Sheriff’s Office. The unit consists of six well-trained pilots and six observers that accompany the pilots on searches. Each plane is provided with radios and aviation life vests from the Sheriff’s Office. The Squadron was formed five years ago with Witham being a member of the inaugural group. They have been involved in a number of other rescues, including lost hunters, rafters that drift too far out in the lake, and aircraft that have ditched in Lake Huron. The unit also makes scheduled runs up and down the Lake Huron Shoreline over holiday weekends to assure that nobody is in distress in the water prior to nightfall. 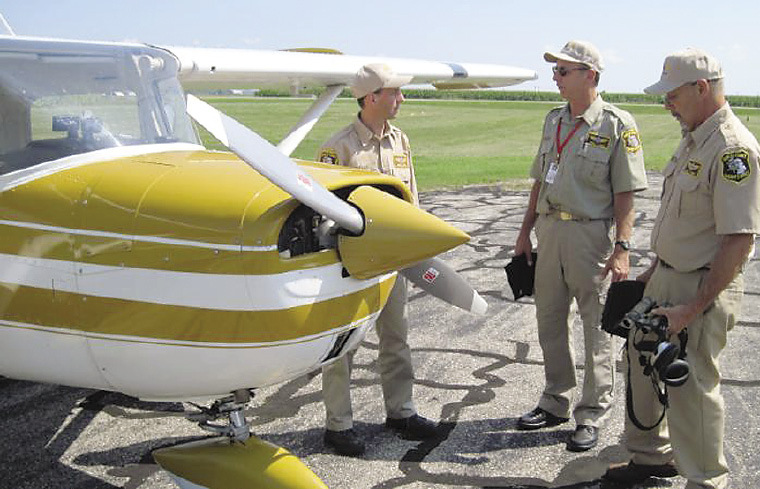 The Aero Unit is commanded by an experienced aviator, Tim Juhl, of Forester Township. 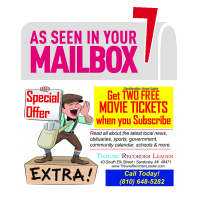 Juhl is a retired teacher from Carsonville-Port Sanilac Schools with an extensive background in search and rescue. A former Lieutenant Colonel of the Civil Air Patrol, he has flown more than 100 search and rescue missions throughout Michigan. The rescue of Hazel Ricketts was a proud day for the entire Aero Squadron, especially for Commander Juhl. Juhl, Witham, and the other members of the Aero Unit are all dedicated to serving their community and have proven their effectiveness many times over. “The Sheriff’s Office formation of the volunteer unit is a powerful tool for the county to have at its ready. To be an average citizen and provide my talents and aircraft to serve those in their time of need is an absolute thrill,” Witham said of his role in the Aero Unit. Sanilac County Sheriff’s Aero Unit Pilots: L to R: Don Johnston, Tim Juhl, Norm Hurren, Darrell Witham, Tom Orton, and Chuck McMillin. This is very cool. Kudos to the volunteers, and whomever thought of this!